This is the mug that gives you a hug when you pick it up, and you’ll just want to hug it back. Touch, love, use. 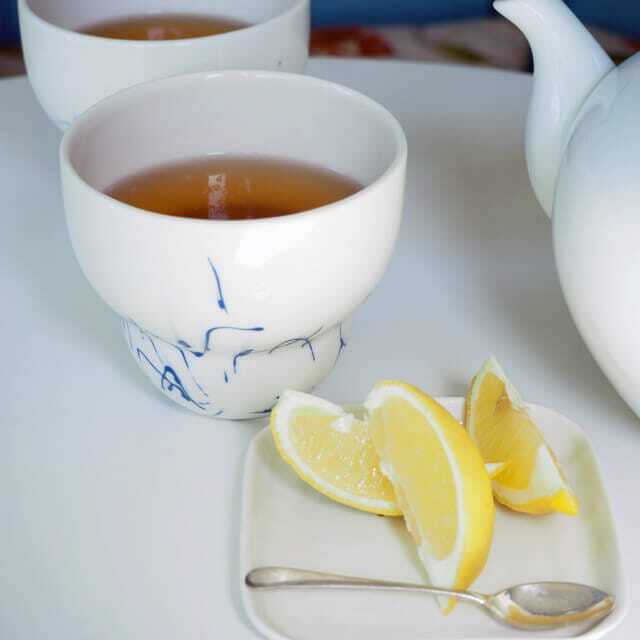 Add an essential touch of luxury to your cup of tea. Part of the current ‘Drinking Vessel’ Collection, these pieces were inspired by the shape of the trees on Julie’s walk along the lake side in the Finnish winter. The bare branches and mounds of snow come through in Julie’s use of mark making and monochrome colour. 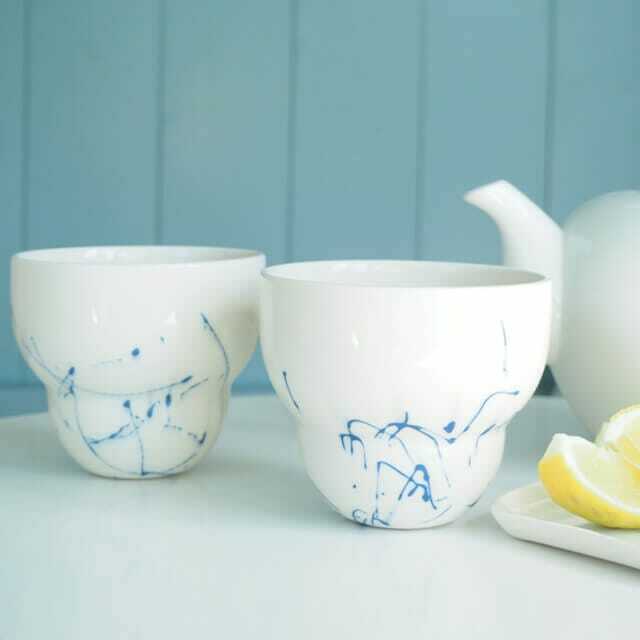 Hand made from start to finish, each vessel is uniquely decorated by hand prior to first firing so the pattern is there for life. 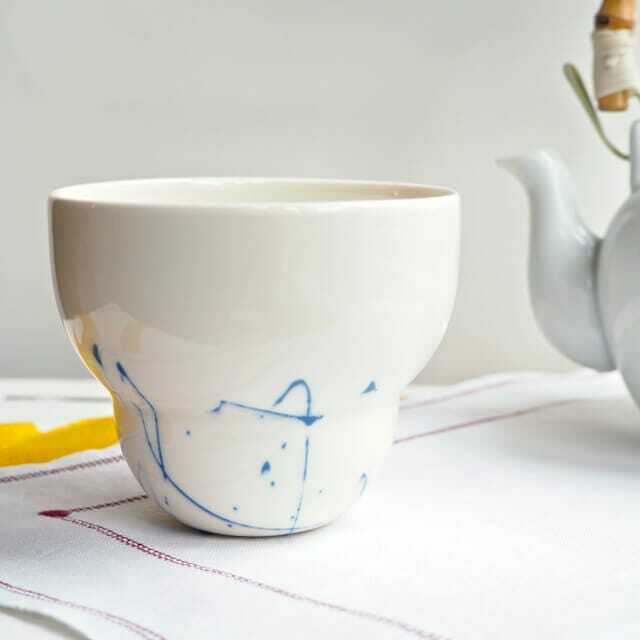 Julie founded Inner Finn Ceramics after falling in love with Finland on a five-month residency. The peace of the snowy winter and simple lifestyle cemented her love of clean lines, pure form and pared back style. Born by the sea and growing up in a village, Julie is particularly drawn to natural organic forms. Her bags and pockets frequently yield smooth pebbles, seashells and seed heads. Collected because of their unique pattern or tactile nature, these pocket treasures inspire Julie's work, manifesting themselves in her ceramics' forms and decoration. Julie's current work concentrates on slip casting, mainly with porcelain. Having explored many ceramic techniques Julie feels most at home with slip casting because it allows her to combine skills acquired as designer, engineer, sculptor and ceramicist, to make precise, clean, organic forms. Julie completes the whole slip casting process by hand, from design, cutting of templates, turning the plaster masters to mould making, production of slip and slip casting. Julie makes both functional and sculptural objects, predominantly vessels. Living in Finland cemented a love of clean line, pure form and pared back style. 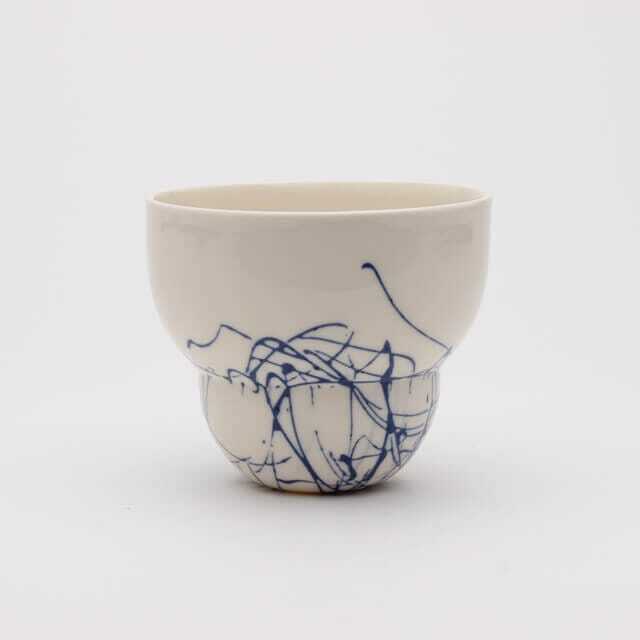 Complimentary ranges of drinking vessels and sculptural pieces are tied together through monochrome colour palettes and expressive mark making. Julie’s work explores the tension of opposites: she is particularly intrigued by the interplay between control and chance, between soft form and hard materials and between fleeting movement and stillness. Julie seeks to capture quietness and offer a moment of stillness amongst the bustle and constant noise or modern living. Julie enjoys walking the line between sculpture and function, dipping into each, sometimes combining the two, in a desire to create objects that want to be touched, loved, and used.